Dave Davies is the sound wizard, the guitar maestro, the inventor of the distortion. One of the 100 Greatest Guitarists of All Time, according to Rolling Stone. 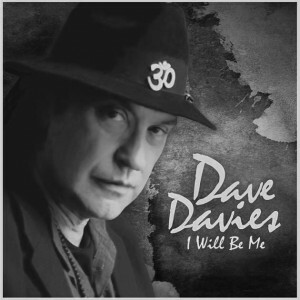 2013 is the year of a new album for Dave Davies. He leaves behind his past and his guitar legend status, proving that he is a perpetual artist. “No matter what they do or say, the future’s here to stay!”, he says in one of his new songs. From the first chord, Davies marks his musical signature on this new album. The distorted sound vibrates at the beginning of the “Little Green Amp”, a look back to the British Invasion years. The song is a colourful and noisy anthem of his beginnings, an ode to his spirited guitar. The second song of the album, “Livin’ in the past”, begins with the same groovy guitar tune, but then emphasizes that the present moment is the one that really matters. I found the same “carpe diem”-ish statement in the latter “Energy Fields”, a whimsical psychedelic song. The “energy fields” and the “dimensional shifts” are a promise towards freedom, infinity and eternity. “Remember the future” is a musical dichotomy of past and future, a meaningful story told “under the starlight”. “The Healing Boy” is delicate song softly whispered, while “When I First Saw You” is a candid ballad sang in a duet. “The Actress” is another beautiful ballad, a love statement for the romantics. In the same time, the effervescent “Midnight in L.A.” seems to break this serenity. This song reminds me of the “Californication” series, describing L.A. as a lost world of free spirits and fragile realities. But the climax of this art manifesto is “Walker Through The Worlds” is a dream, a phantasmagoria, an illusory world of sound and fervor. It is a continuous seek for eternal peace through the worlds , through the hearts, across the sky, in the stars. Dave Davies’ album is indeed an elaborate masterpiece, a conglomerate of creative guitar, vigorous sounds and bright lyrics.